I’m one of those people truly plagued with an overactive mind – someone who constantly worries about anything and everything, and over-analyses the day’s events in slow motion and HD quality (particularly if I said a stupid comment, did something I regret, or there’s a chance to convince myself that someone doesn’t like me). For this reason, I’ve long been searching for a hobby or activity that takes up so much of my energy and brainpower that I switch off from replaying the faux-pas I made in the meeting and just absorb myself in what I’m doing. Unfortunately I’m far too messy for sewing or knitting, get completely distracted when trying to read a book or watch a film, and the last time I went to a yoga class I spent the entire time worrying I’d ripped my leggings (I had). One thing I have rediscovered lately is the absolute joy I find in cooking. At the moment, I’m currently living at my parents’ house which has been a bit unexpected and just as odd an experience as you might think (I haven’t lived at home since I was 18!) With the weather being pretty horrendous lately and the winter darkness setting in around 4pm, sometimes the evenings stretch out ahead of me and I find myself getting far too introspective (and sometimes a little bored). 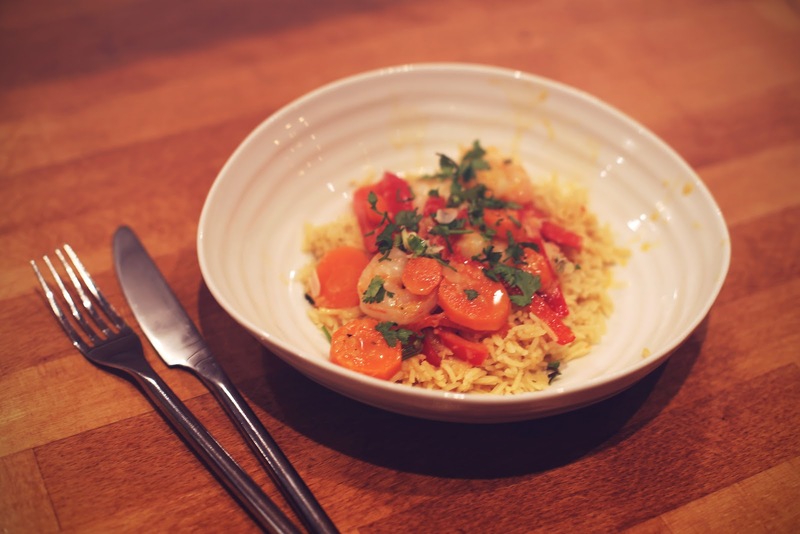 A few weeks ago I decided to start cooking for my parents once or twice a week, and trying to cook a meal that I could take my time over preparing (not just fishfingers, chips and peas!) I was amazed at how much I enjoyed it. There’s something so cathartic about chopping vegetables, preparing sauces and watching things bubbling away in a saucepan. After a long day at work (and a long drive home thanks to a much lengthier commute) I can feel all of the worries of the day ebbing away as I prepare a meal. 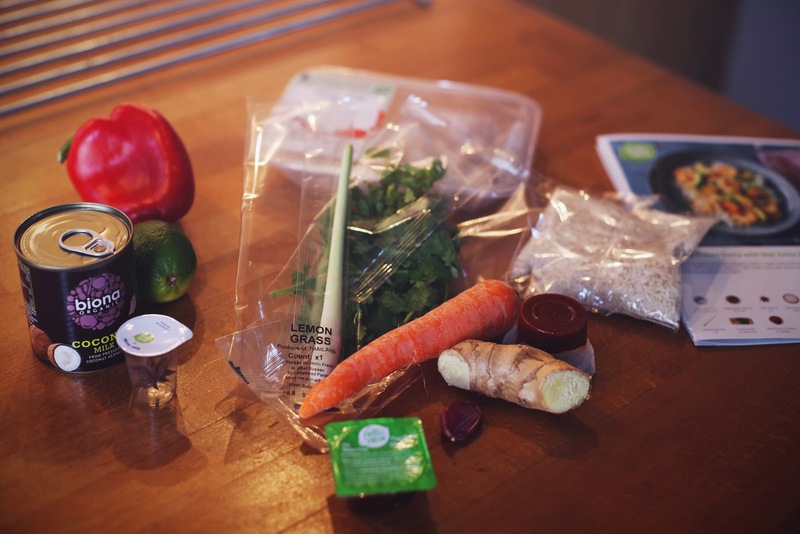 Over the last few weeks I’ve been trialling the HelloFresh boxes, and it’s been a total joy making (and eating) the meals they’ve sent. For those of you that don’t know, Hello Fresh is a delivery service that delivers the ingredients for three or five meals a week. 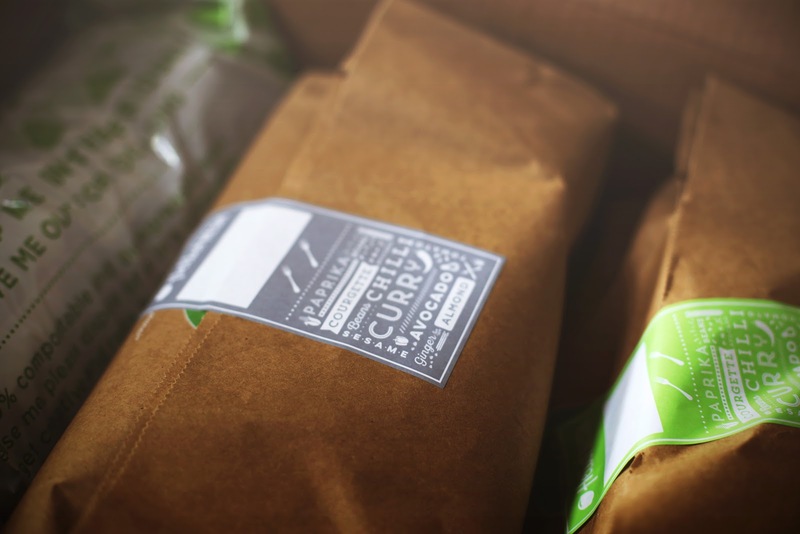 They deliver the entire ingredients for a meal, right down to seasonings, stocks and even small things like garlic cloves or butter. They also send out recipe cards with step-by-step instructions for each meal. You can swap the meals if you don’t fancy the menu that week, and there’s also veggie options for people who don’t eat meat. We actually often order Hello Fresh boxes, usually for the first week of the month when we’re feeling a bit lazy and want to treat ourselves to some easy dinners! 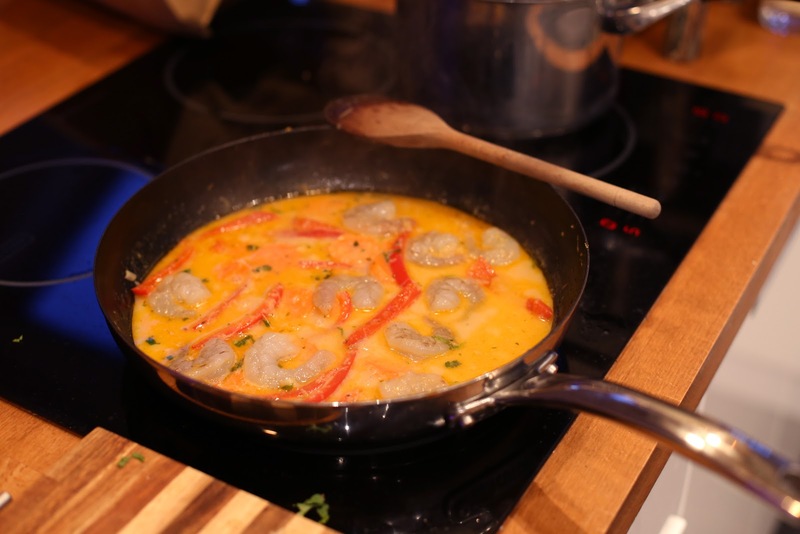 I think it’s common these days to end up coming home from work in a state of total exhaustion, foraging for something quick and easy to cook in the kitchen (or grabbing a ready meal or a takeaway) and then eating it in silence in front of the TV. I know many of my evenings often end up looking like that. One of the real pleasures of Hello Fresh is not only that it takes time to prepare the food in a mindful and slow way, but also that making that effort forces you to savour the meal too. After the meal is cooked I always take time to sit at the table and really take time to enjoy the fruits of my labour; chatting about the day and usually enjoying it with a glass of wine and some candles burning. My Mum has a rule that we’re not allowed phones at the dinner table (I still can’t get over how pathetic I feel saying that I’m back living at my parents’ house!) and whilst I initially found it annoying, I must admit I do actually really enjoy just sharing news and catching up rather than scrolling through Twitter. Sadly enough I’ve realised that cooking and eating is probably the only time when I just do nothing but focus on the meal (or the eating!) without having my mind on what’s going on on social media, or what I’m going to do next. 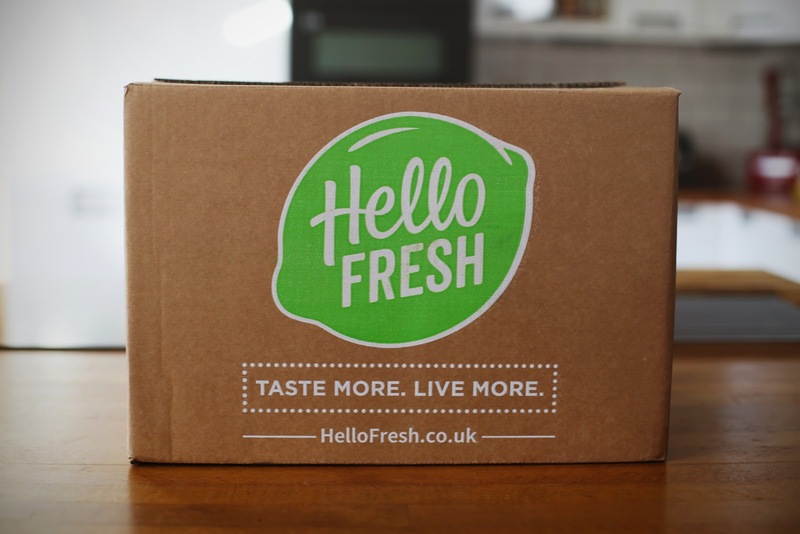 If you want to try Hello Fresh you can get £25 off your first box here.